It measures 3cm x 3cm and is made of two layers of glass. 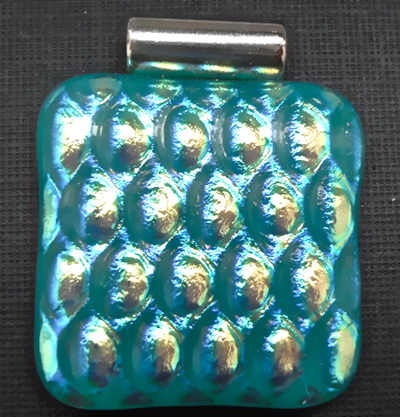 An opaque Jade layer with a layer of heavily textured Gold patterned Dichroic glass on top. It has a plated silver bail, and comes with a 1mm 16" Sterling Silver snake chain in a Black card gift box.